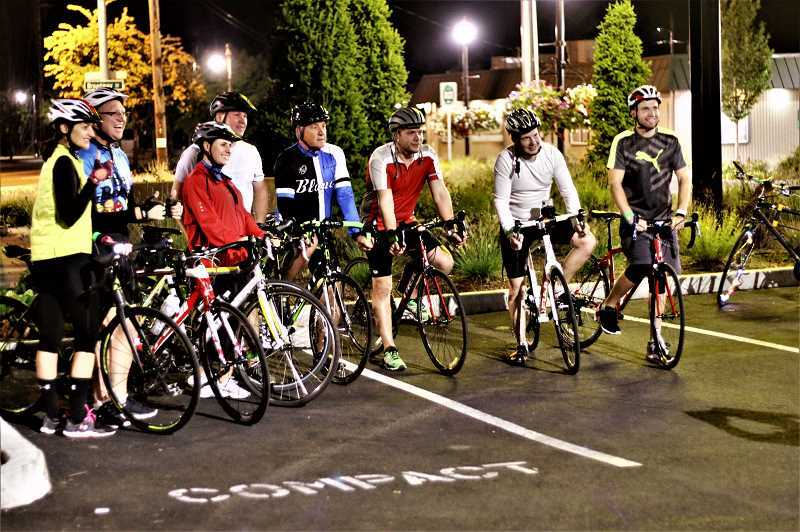 A recent summer night brought a group of cyclists to a scenic journey in Estacada. 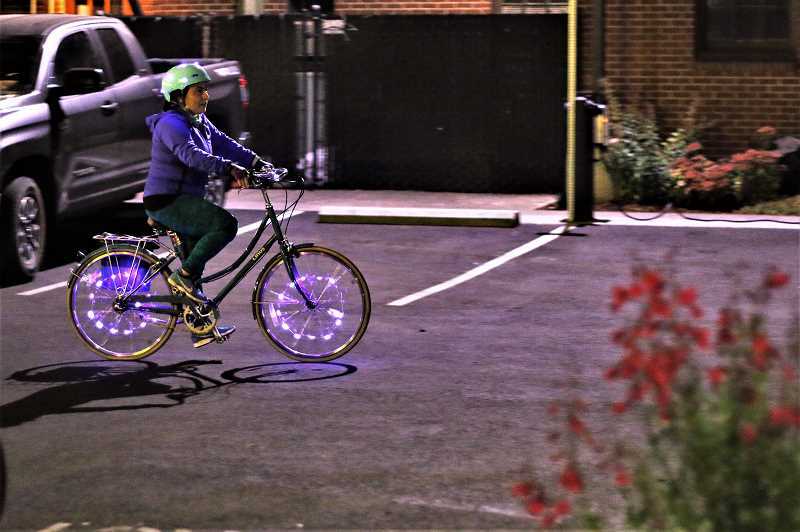 At 10 p.m. on Saturday, Aug. 26, more than 30 bikers participated in the Faraday Moonlight Ride, which spanned 12 miles along Faraday Road. Cyclists passed the Clackamas River and several other natural sights. To ensure safety, the street was closed to motor traffic. During the event, Mary Diehl of Portland dressed as a 'moonglow moth' and won best costume and a $25 gift certificate to the Spiral Gallery. The ride was organized by the Downtown Estacada Commission Coordinator. Phil Lingelbach said all involved had fun. "Unfortunately the moon was a little shy that night and hid behind the clouds, but if you saw it the night before or the night after you knew what brought 35 cyclists to Estacada for a special ride," he wrote in an email.